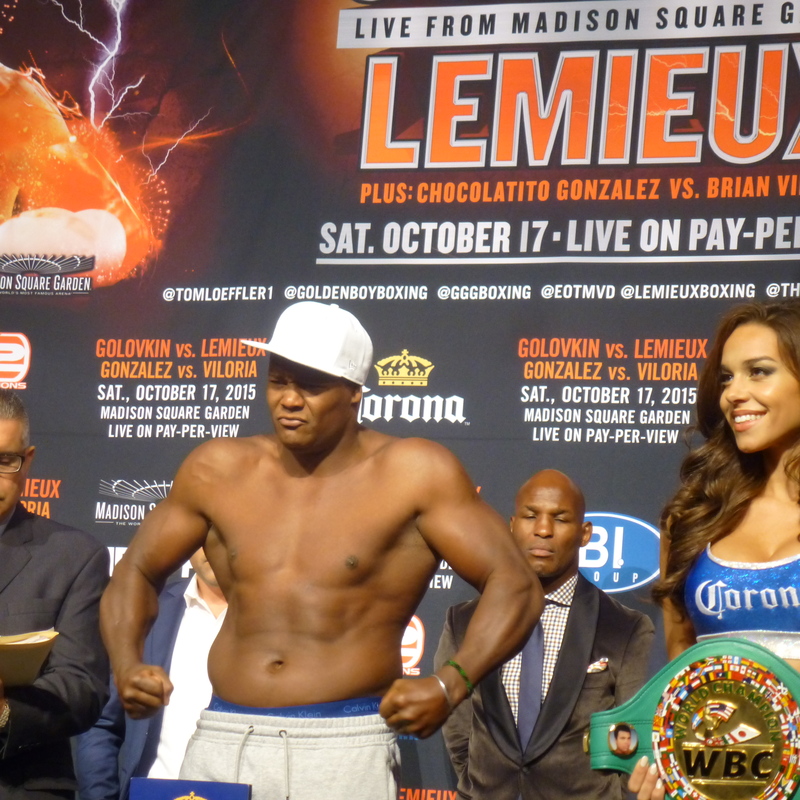 The official Gennady Golovkin vs. David Lemieux weigh-ins were held this afternoon at Madison Square Garden. Right here, you’ll find the Golovkin vs. Lemieux weigh-in results, along with the official weights for the entire undercard. 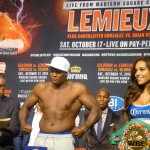 Lemieux had to strip all the way down and hide behind the customary towel but he made weight on his first try. 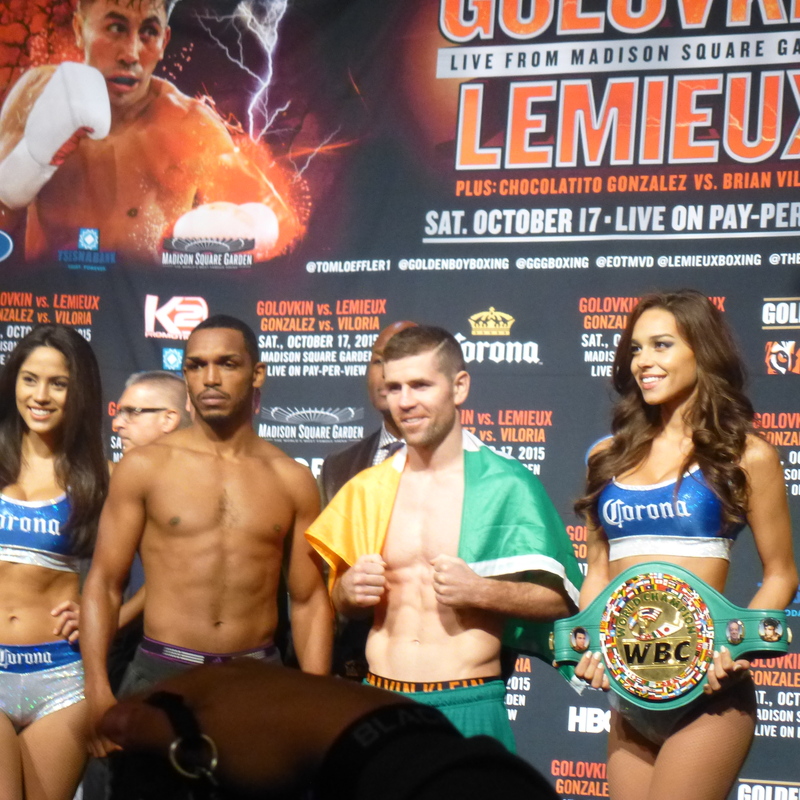 Golovkin had a quiet confidence as he took to the scales, and seemed ready for business on Saturday night. Both guys promised action and a good show, as well as victory. 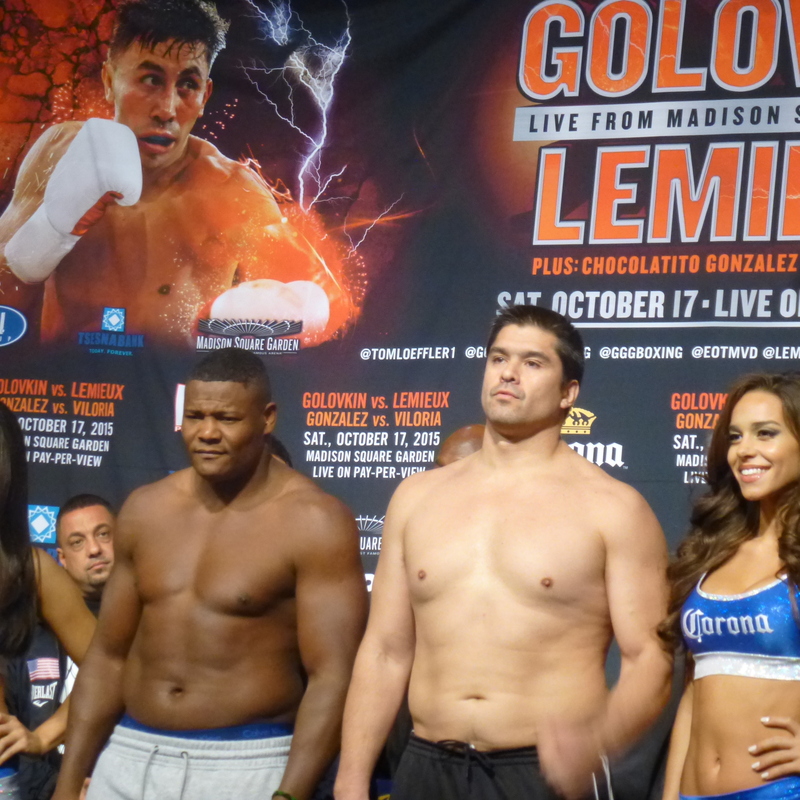 There seemed to be some nervousness from Gonzalez’s camp that he was going to have issues making weight, but he made the weight on his first try. 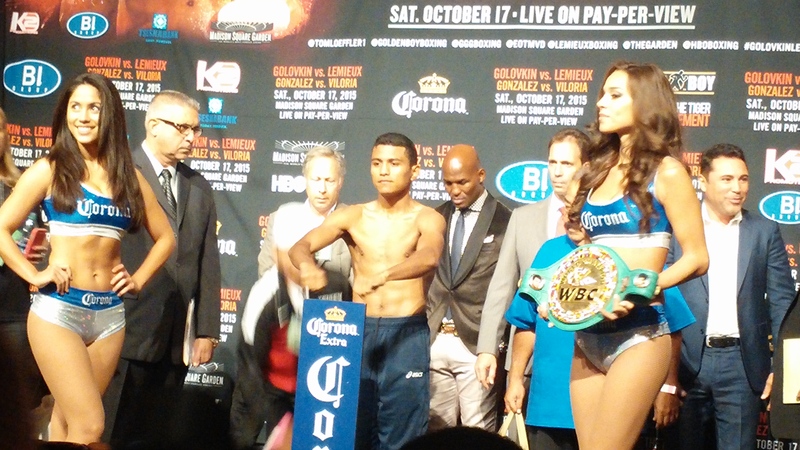 Chants of Chocolatito came in from a big section of Gonzalez fans in the crowd, to which Gonzalez cheered to them – Viva Nicaragua. 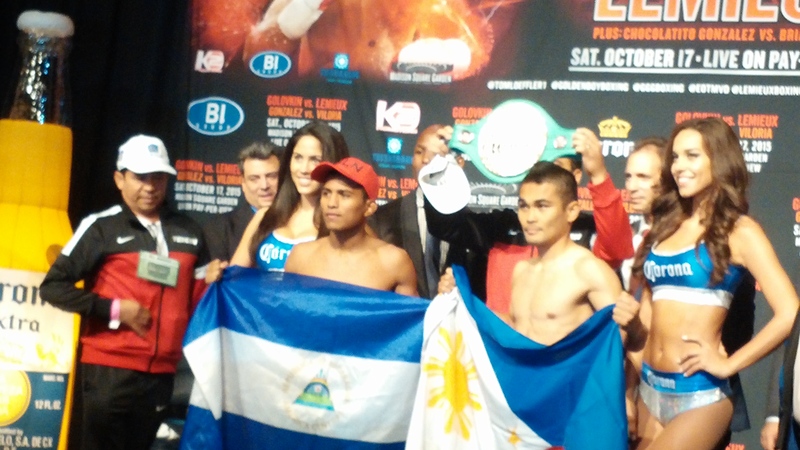 Viloria said this is the biggest fight in his career, and he’s going to leave it all in the ring. He says Gonzalez is a great champion, but he’ll have him tasting some Hawaiian Punch, and he hopes Gonzalez has underestimated him like much in the media have. These are two big boys. 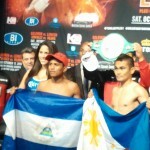 Ortiz said he’s ready to face the best right now. Vidondo says he has a big heart, but “even bigger testicles”. Or at least that’s how the translator put it. 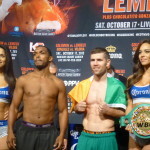 Johnson said to expect total destruction from his hands, and he plans on putting O’Kane to sleep. 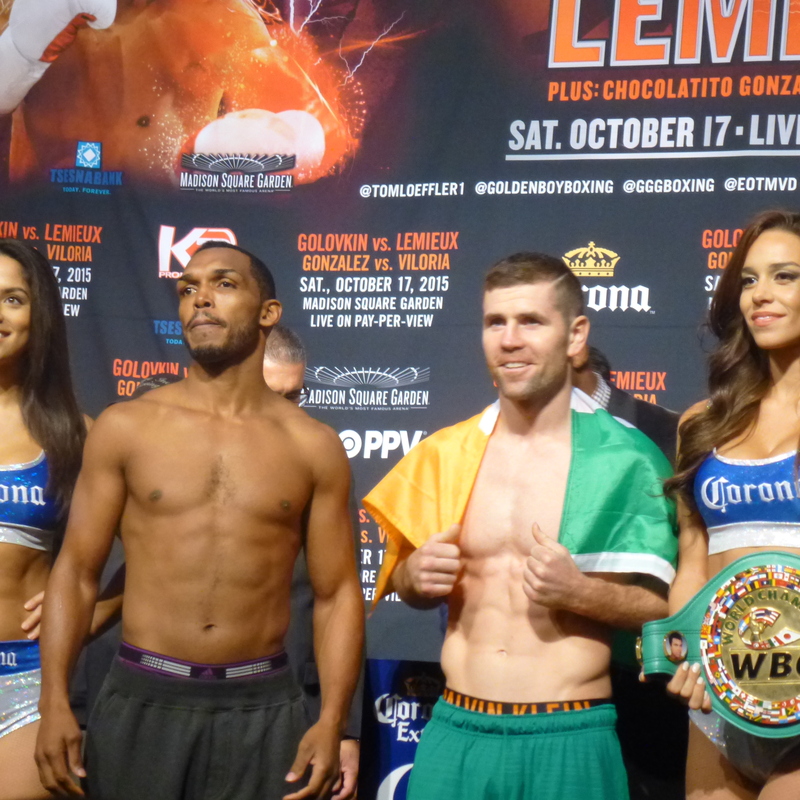 O’Kane had a nice Irish contingent on hand. A small but passionate crowd of fans was on hand at the World’s Most Famous Arena for the weigh-in festivities. In addition to Bernard Hopkins and Oscar De La Hoya, and several Golden Boy prospects, Roberto Duran was also in the building and got a huge reception from the crowd. The fans also lit up when De La Hoya hinted that the winner of Golovkin vs. Lemieux could end up facing the winner of next month’s Miguel Cotto vs. Canelo Alvarez fight. Tomorrow night, ProBoxing-Fans.com will be live from ringside with our Golovkin vs. Lemieux results, so be sure to hang out with us all weekend long.